I now have one blanket in my inventory, but I know that it will soon be joined by other finished Project Linus blankets. 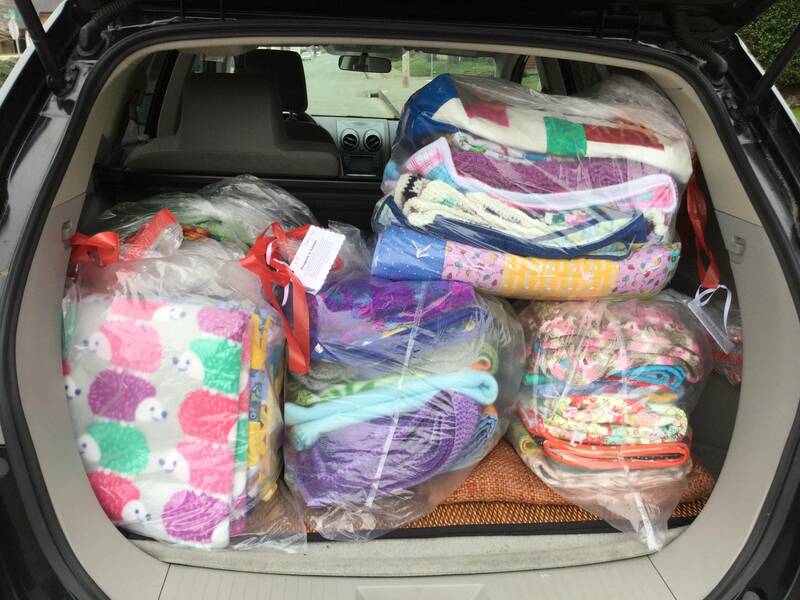 Our chapter is now 9 months old and balancing blanket inventory and blanket deliveries takes a bit of coordination. I decided months ago that I’d rather have a few blankets on hand than dozens because the blankets need to be wrapped around a kid not bagged up in my sewing room!